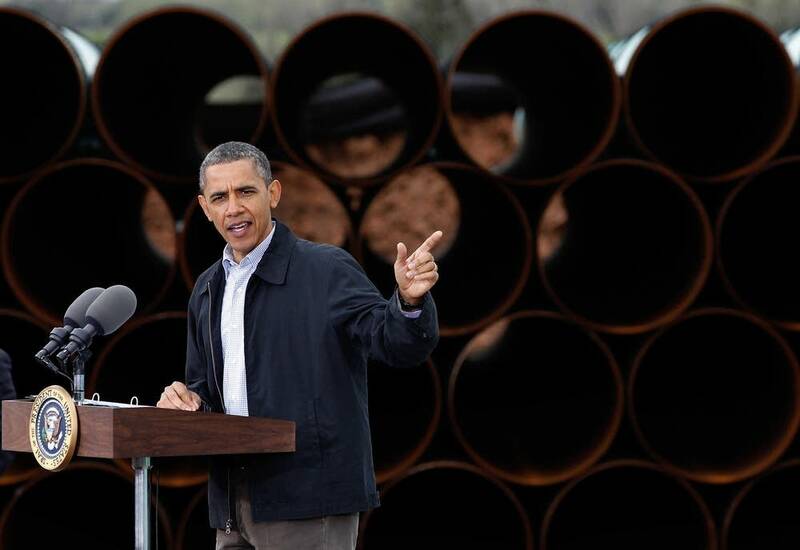 Will Obama approve the Keystone oil pipeline? As the Obama administration considers the Keystone Pipeline project, it's up against a lot of competing interests. On one end, Obama has his supporters who are expecting him to take a stand against climate change and turn down the project. Last weekend, 40,000 people protested the pipeline in Washington, D.C. But if the administration doesn't approve it, relations between the United States and Canada could be hurt. Still, the amount of Canadian oil that the United States imports daily -- 2.4 million barrels, roughly twice what it imports from Saudi Arabia -- points up a cornerstone of Mr. Obama's goal to decrease dependence on oil from the unstable Middle East and unreliable sources like Venezuela. The Keystone pipeline would increase Canadian oil imports by more than 700,000 barrels a day, the equivalent of roughly two-thirds of Venezuelan imports. Canadian leaders are cautious not to threaten the Obama administration directly, but they suggest that if the pipeline is not permitted, the close relationship between the countries will be damaged and Canada forced to look elsewhere, particularly to China, for new energy markets. "The signal of a rejection of a permit by the president would be a significant change in the Canada-U.S. relationship," said Greg Stringham, the Canadian Association of Petroleum Producers' vice president for oil sands and markets. "Canada, right now, with our potential growth in energy, is looking for security of demand wherever that might be throughout the world." Scott Segal, partner and head of the policy resolution group at Bracewell & Giuliani, and Sierra Club Executive Director Michael Brune will join The Daily Circuit Monday Feb. 25 to discuss the Keystone Pipeline.